A Parenting Agreement is a written Agreement dealing with the parenting (custody, access, child support) issues involving parents who did not live together and who are not married but wish to have their parenting arrangements set out in a proper written agreement. A Separation Agreement is a written Agreement dealing with all issues arising from the separation of two spouses who have lived together and/or are married such as parenting (custody and access), child support, spousal support, equalization and property division, life and medical insurance obligations, etc. Agreements can be temporary (i.e., in place for a limited period of time) or final. Some terms of a Final Agreement can be reviewed or changed depending on the term, the law and what the Agreement states and these changes would be reflected in either a Court Order or an Amending Agreement. At a minimum, a proper agreement must be in writing, signed by the parties, dated and witnessed. However, there are a variety of other factors that affect whether an agreement is valid or not (i.e., will be upheld by a Court or not) such as: did both parties have capacity to sign, was either party under undue influence or duress, was there independent legal advice (i.e., did the party understand what they were signing), was there proper financial disclosure exchanged, etc.). Drafting – drafting the actual specific terms of an agreement. Separation Agreements are the final result of the kitchen table process, mediation, cooperative process, or collaborative process. 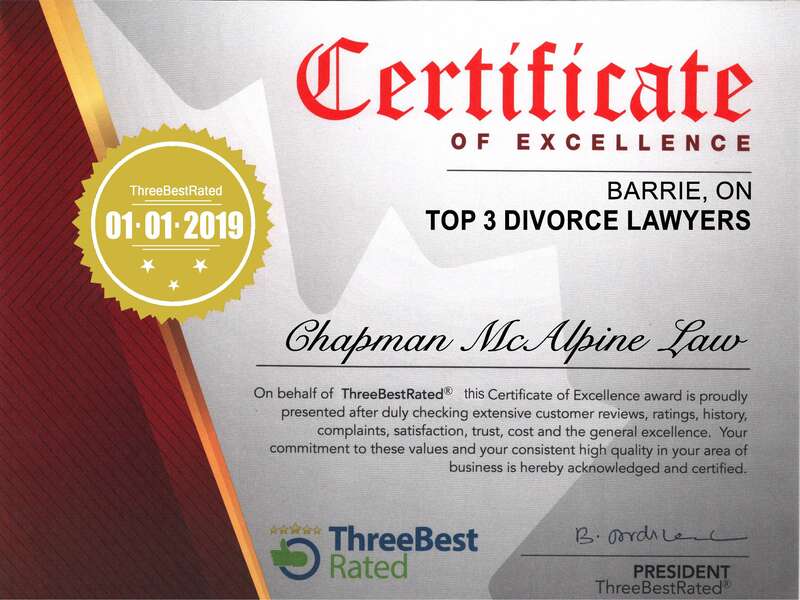 The family law lawyers at Chapman McAlpine Law can help you with all aspects of the Separation Agreement process.